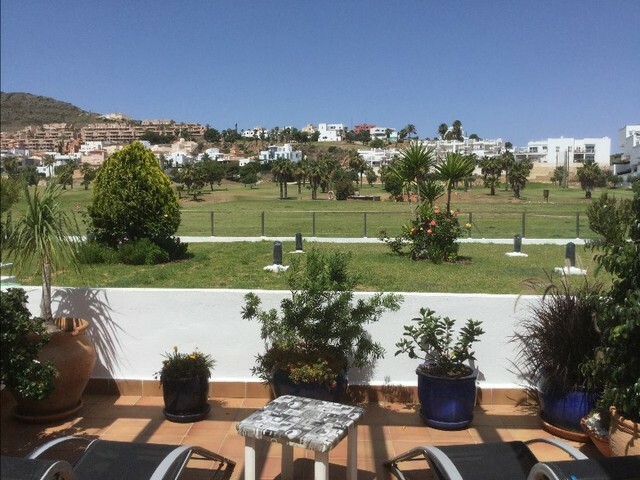 Wonderful, modern and beautifully furnished, 2 bedroom, 2 bath/shower room, air conditioned apartment, with spectacular sea and mountain views from large south facing sunny terrace for sale on Mojacar Playa, Almeria, Andalusia. Located 200 metres from the most popular area of Mojácar Playa with promenade, spacious, clean, sandy beaches and wide range of bars, restaurants, beach bars and shops, with bus services connecting to Mojácar Pueblo, Garrucha's port and Vera town. Internet/wi-fi, private community parking and 2 private residents' pools, one with grass sunbathing areas. To be sold mostly furnished. including all white goods and fully equipped kitchen. High rental income history and future potential, with license in place for holiday rentals and longer term winter lets.